The Auris (+63%) helps Toyota up 29% in Finland in January. New car sales in Finland are up 6.5% year-on-year in January to 13.472 registrations. 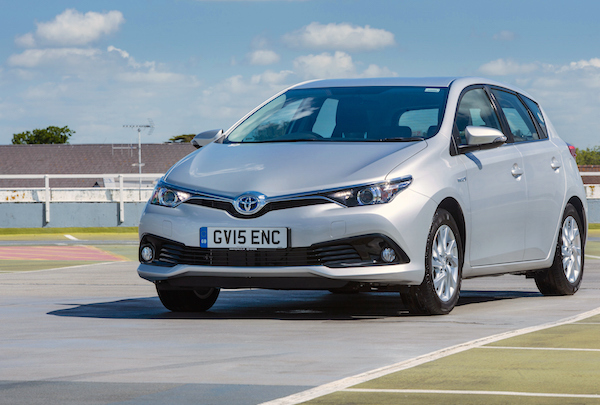 Toyota confirms it is the new favourite carmaker in the country with deliveries surging 29% year-on-year to 14.5% hare, distancing Skoda (+4%) while Volkswagen (-2%) is relegated to third place. Volvo drops 11% but remains 4th, followed by Ford (+8%) while Audi (+44%) posts the largest year-on-year gain in the Top 10 where Kia (+13%) also shines. Below, Fiat (+257%), Land Rover (+129%), Dacia (+95%), Peugeot (+83%), Porsche (+82%) and Hyundai (+71%) are the most dynamic whereas Renault, freak #1 in December thanks to tactical sales, freefalls 51% to #22. Model-wise, the Skoda Octavia reclaim the lead it has held for the past 4 years in spite of sales down 7%. It distances the Nissan Qashqai also in negative (-9%) while the Toyota Auris (+63%), Yaris (+40%) and Avensis (+37%) all post spectacular gains below, along with the Volvo XC60 (+54%) and Ford Fiesta (+46%). The Hyundai i30 (+268%), Opel Insignia (+206%), VW Polo (+177%) and BMW 5 Series (+115%) are also boosted by new generations while the Skoda Kodiaq breaks into the Top 20 at #19. Full January 2018 Top 30 brands and models rankings below.